In an inexplicable budget proposal that has floored the weather community, the Trump administration aims to reduce investments in programs that would improve this model and many others aspects of the nation’s weather forecasting. Released Tuesday, the proposal slashes funding at the National Oceanic and Atmospheric Administration, the parent agency of the National Weather Service, by 16 percent. The proposal not only reduces investments in weather forecasting technology but also cuts programs that would enhance understanding of phenomena, such as El Nino, hurricanes and tornadoes. NOAA’s weather satellite programs would see reductions in the hundreds of millions of dollars. “This budget would ensure that NOAA-NWS becomes a second- or third-tier weather forecasting enterprise, frozen in the early 2000s,” said David Titley, who served as chief operating officer for NOAA from 2012 to 2013. Being both a plutocrat and fanatical Christian fundamentalist requires a highly selective reading of the Good Book. From the Week via LGM. Gianforte is a big fan of citing Noah, as it turns out. In a 2015 talk at the Montana Bible College, he told the audience that he doesn't believe in retirement because Noah was 600 when he built the ark. "There's nothing in the Bible that talks about retirement. And yet it's been an accepted concept in our culture today," Gianforte said. "Nowhere does it say, 'Well, he was a good and faithful servant, so he went to the beach.' It doesn't say that anywhere." He added: "The example I think of is Noah. How old was Noah when he built the ark? Six hundred. He wasn't like, cashing Social Security checks, he wasn't hanging out, he was working. So, I think we have an obligation to work. The role we have in work may change over time, but the concept of retirement is not biblical." Josh Marshall has frequently compared Donald Trump to the character Mr. Magoo. That got me to wondering how many people out there have actually seen one of these cartoons. Just so our younger readers will get the joke, here's an Oscar-winning short from 1954. And while we're explaining jokes, the movie Magoo almost saw was a reference to another of the studio's hits, albeit in a very different vein, The Tell-Tale Heart. The film was the first cartoon to be rated X, indicating it was suitable only for adult audiences, by the British Board of Film Censors. It was nominated for the Academy Award for Best Animated Short Film but lost to Toot, Whistle, Plunk and Boom from Walt Disney Productions. The threads are converging like crazy on this one. We've got your crazy tech millionaire. We've got your GOP candidate wildly overreacting to a question about the healthcare bill. A group of students and faculty at Montana Tech are organizing an unprecedented graduation boycott to protest the university's decision to invite two commencement speakers who are prominent supporters of a young earth creationist museum. When you visit a major natural history museum today, you will see wide-eyed elementary and preschool children (not to mention their parents and teachers) being funneled into an abyss of scientific deception. No matter whether it's the study of animals, earth science, or astronomy, the wonders of God's creation are prostituted for evolutionism. And the end result is just more confusion, mystification, and cynicism in the lives of our young people and adults. 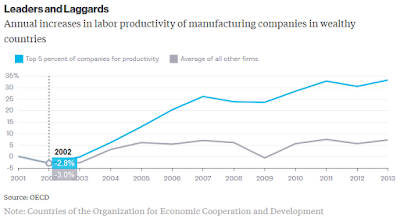 The OECD has a certain reassuring predictability. When explaining a perceived crisis, they will conclude that the country needs reforms and it needs market-based solutions and, most of all, it needs reforms that unleash market-based solutions. I first noticed this pattern when I was following the education reform debate (where the OECD figured prominently). I also noticed something else. Though the organization put out reams of impressive looking studies and data, the actual arguments tended to have a context-free snapshot quality. “This country is not following our list of rules and it is in trouble.” It didn't matter that the country had never followed the rules and had previously been doing fine or that some other country (in the case of ed reform, usually Canada) was even further from the OECD prescriptions and was doing great. Which brings us to this recent piece by Catherine Mann and Dan Andrews (chief economist and deputy head of the structural policy analysis division, respectively, for the OECD). Today, the risk is that this phenomenon may contribute to a period of macroeconomic stagnation, as occurred in Japan during the 1990s. Just to be clear, I am not necessarily opposed to many (perhaps not even most) of these proposals. Furthermore, I certainly agree that we should make it easier for badly run businesses to go away (though my definition of "badly run" may be different than that of the authors). That said, there is a great deal here that gives me pause and it is entirely consistent with the pause-giving elements of other OECD studies. One troubling aspect was particularly well illustrated by the mention of Japan. Many of the policies that the organization objects to have been in place for a long time, and during that time, many of the countries used as examples have had both very good and very bad economies. For example, I'm under the impression that Japan has long had official practices in place that make innocent young freshwater economists cry themselves to sleep, but those same practices were in place during both the boom of the 60s, 70s, and 80s and the bust that followed. Likewise (though to a lesser degree) the United States has experienced highs and lows in the past few decades that seem unconnected with the reforms the OECD proposes. And, with the all-important caveat that I am desperately out of my depth, I would assume that the more competitive and uniform markets of the European Union and the far greater employee mobility (at least until last year) would have been just the sort of reforms that the authors insist are the best way of fighting our economic woes. Once again I'm not saying that the proposals are bad and I am certainly not arguing that barriers to entry for new businesses are good; I am just saying that, even if our friends from the OECD are getting the direction right (which they very well may be), it is difficult to reconcile the magnitudes of impact they promise with the historical record. The genre is sci-fi. The business model is fantasy. One of the hallmarks of a bubble is the strange inversion of perceived risk. You get to a point where, for the people driving the bubble, the pain and anxiety of loss associated with missing out grow overwhelming. The only seemingly rational course of action is to do what ever it takes to get into the game. No matter how onerous the terms, no matter how many treasured possessions you need to hock, no matter how far you need to overextend yourself, the sensible course is to invest as much as you can. Obviously, there are situations where "getting there the fastest with the mostest" is the best strategy, but even then, the smart investor or executive will at least acknowledge the inevitable point when blank checks will need to give way to caution. When the assumption that more spending is always better becomes axiomatic, the smart money starts backing toward the door. Which brings us to a recent story from io9. We were early to the party when it came to talking about the possibility of a content bubble. The basic idea is that while, even allowing for multiple screens (I've got two running myself at the moment), the competition for viewers has gotten brutal between cable and satellite, pay-per-view, streaming video, and our old friend digital terrestrial broadcasting. (We won't even get into games.) In particular, the share allotted to cable and satellite has been steadily shrinking, so that even allowing for population growth and the opening of international markets, this sector is, at best, holding its own. At the same time, the amount of programming, particularly original scripted programming, has exploded. On top of this, there is something of a bidding war so that increased supply is actually met with spiraling prices. Obviously, this does not mean that investing big bucks in a TV series or the broadcast rights to a major movie franchise is necessarily a bad idea, but it does mean that the decision to open up the checkbook carries notable risks in the middle of a bubble. What's so troubling about the following from a business perspective is that NBC Universal Cable Entertainment’s President of Entertainment, Chris McCumber doesn't even seem to consider the possibility. Nicholas von Hoffman (born October 16, 1929 in New York City) is an American journalist and author. Von Hoffman was fired by Don Hewitt for referring to President Richard Nixon, at the height of the Watergate scandal, as "the dead rat on the kitchen floor of America, and the only question now is who's going to pick him up by his tail and throw him in the garbage." Von Hoffman's dead rat is one of many examples of how the Trump scandals turn the dynamics of Watergate on its head (it also reminds us how little predictive value there is in the Trump/Watergate analogy). At the risk of being one of those counterintuitive types I'm always complaining about, the Republicans were lucky not to hold Congress during Watergate. The Democrats had to pick up the rat; all the Republicans had to do was hold the door through a reasonable level of cooperation across the aisle and an occasional show of independence from the president. The GOP certainly took a hit, but it was probably the best they could do under the circumstances. Furthermore, they were able to avoid intra-party war and exchange a huge and growing problem for a useful martyr. To go just a bit further down the counter-intuition rabbit hole, I suspect that a significant number of Republicans in Congress are hoping that enough of their colleagues lose their jobs in 2018 so that this disposal job can be handed over to the Democrats. Of course, there are two obvious problems with that strategy. First, it is impossible to guarantee that it will be a colleague who goes down in the tsunami. Second, November 2018 is a long ways off and, if the pace of the scandal holds (or even gets worse), association with Trump has the potential to do a stunning amount of damage between now and then. While this Sherman interview is the best concise take I've heard on the rise of Fox News. I probably need to do a deep dive one of these days and explore the connection between the content bubble and the larger story of how hype and next big thing-ism drive and distort markets. For now though, I'm just trying to document how big and overpriced and unsustainable the explosion of original scripted television (and the marketing budgets behind them) has become. There is a huge distinction between the automobile industry (even the specialized area of electric vehicles) and the aerospace industry. The latter has a handful of players competing for a tiny number of clients; the former has lots of players competing for most of the population in the industrialized world. SpaceX was able to carve out a substantial niche for itself because the industry was not particularly fast-moving (and, in part, because the company acquired, or by some standards stole, a large chunk of the personnel and intellectual property from TRW). Tesla, by comparison, is entering a free market thunder dome. As of September 2016, series production highway-capable all-electric cars available in some countries for retail customers released to the market since 2010 include the Mitsubishi i-MiEV, Nissan Leaf, Ford Focus Electric, Tesla Model S, BMW ActiveE, Coda, Renault Fluence Z.E., Honda Fit EV, Toyota RAV4 EV, Renault Zoe, Roewe E50, Mahindra e2o, Chevrolet Spark EV, Fiat 500e, Volkswagen e-Up!, BMW i3, BMW Brilliance Zinoro 1E, Kia Soul EV, Volkswagen e-Golf, Mercedes-Benz B-Class Electric Drive, Venucia e30, BAIC E150 EV, Denza EV, Zotye Zhidou E20, BYD e5, Tesla Model X, Detroit Electric SP.01, BYD Qin EV300, and Hyundai Ioniq Electric. As of early December 2015, the Leaf, with 200,000 units sold worldwide, is the world's top-selling highway-capable all-electric car in history, followed by the Tesla Model S with global deliveries of about 100,000 units. If you include plug-in hybrids (which I would argue that you should for now), the list becomes much longer. The consensus in the engineering and infrastructure fields seems to be that we are not that far from the end of the age of internal combustion. I'll admit I am a bit skeptical about some of the timetables I've heard, but there is no question that we will get to the point where electric vehicles are cheaper, have better range, and can be charged in roughly the time it takes to fill up your car. When that happens, gasoline powered cars will go the way of chemical film and analog records, continuing to exist but only as a pale shadow of a once dominant technology. It is possible I'm missing one or two obvious exceptions, but as a rule, it is next to impossible to be wildly profitable in the presence of intense and genuine competition. If you look at companies that were basically printing money by the truckload and take out those that lucked into a quick windfall or were cooking the books, you would almost always find monopolistic pricing/rent seeking or underserved markets or some combination of the two. It remains an open question whether or not Tesla can be a viable and consistently profitable company going forward (a sober reading of the company's recent history does not strongly support the notion), but even if the company goes on to a long and successful career as a major player in the industry, it is highly unlikely that it will ever have the kind of limited competition needed to be profitable enough to justify its market cap. Meanwhile, Tesla CEO Elon Musk was just barely out of the nine-figure club, earning $99,744,920 last year, according to Bloomberg’s calculations. I was digging through the archives researching an upcoming post and I came across a link from 2014. It led to a Talking Points Memo article that I had meant to write about at the time but had never gotten around to. Since then, we have learned just how much the mainstream media was covering for Roger Ailes. Ideological differences proved trivial compared to social and professional ties and an often symbiotic relationship. We have also seen how unconcerned the mainstream press (and particularly the New York Times) can be a bout a genuinely chilling attack on journalism as long as that attack is directed at someone the establishment does not like. It was a good read in 2014, but it has gained considerable resonance since then. Janet Maslin didn’t much care for Gabriel Sherman’s critical biography of Roger Ailes. In her review of “The Loudest Voice in the Room” for the New York Times on Sunday, Maslin was sympathetic to Ailes and argued that Sherman’s tome was hollow. But what Maslin didn’t note is her decades-long friendship with an Ailes employee. Gawker’s J.K. Trotter reported Wednesday on Maslin’s close bond with Peter Boyer, the former Newsweek reporter who joined Fox News as an editor in 2012. In a statement provided to Gawker, a Times spokeswoman dismissed the idea that the relationship posed a conflict of interest. I know I haven't been the best tweeter in the past. I played with the idea now and then of being more active, but, given the huge backlog of things I want to write about here and on other forums, it never seemed a justifiable investment of time. Recently, though, I flipped the question around. For me, unfinished work is a subtle, shaded category with lots of gradations. The lowest and most common was the hyperlink to an article or post I wanted to write about or share sometime the future. Keeping up with these links has gotten to be a real pain. It struck me that the work involved in noting and keeping up with all of these interesting articles was probably greater than the work required to put them in a Twitter stream. Of course, that still leaves me with the challenge of finding time to write up all these posts, but those I don't get around to will at least have gotten out in the form of tweets. So, if you are active on Twitter, please follow and retweet liberally. To spell it out: The more your code is rejected, at Facebook, the less likely you are to rise up the ranks. So the fact that women suffer from significantly higher levels of code rejection is a big problem. The evidence for this being a problem is precisely the fact that Facebook’s female engineers are disproportionately found at lower levels rather than higher levels. And yet somehow, Facebook has contrived to use that fact in support of its claim that there isn’t a difference in how male and female engineers at the company are treated. Instead of treating the prevalence of men in the upper engineering ranks as prima facie evidence that there’s something amiss, they use it to exonerate themselves of sexism. As Thomas Lumley notes, conditioning on the outcome rather ensures that the model is unhelpful (I found this article reading his most excellent site). What would be interesting to see would be what would happen if you randomized some gender swapping on the code authorship. Or were able to blind reviewers to the gender of the code author; that would likely have some pretty positive consequences. Because another consequence of this finding is that either some sub-par code gets accepted or some good code is being rejected. You would assume that a private company would want to correct this issue, either way. As a fan of the extravagantly mixed metaphor, I wish Marshall had jammed these two together, but they are both good enough to stand alone, funny and remarkably apt. Last night came word that Deputy Attorney General Rod Rosenstein reportedly threatened to resign Tuesday night when he realized that the White House was making him the key decision-maker in the firing of James Comey. This tells us a lot, but not necessarily what it might appear on first notice. The main significance is that no more than 30 hours in, the White House’s absurd cover story about firing Comey over his misdeeds toward Hillary Clinton – a lie that virtually everyone at the White House has now publicly repeated and vouched for – is coming apart at the seams. We can also see the staggering fact that after no more than two weeks on the job, Rosenstein’s public reputation, which was formidable, has been destroyed. He now joins a legion of Trump Dignity Wraiths, men and women (though mainly men) of once vaunted reputations or at least public prestige who have been reduced to mere husks of their former selves after crossing the Trump Dignity Loss Event Horizon. What Rosenstein seems not to have realized was that Trump would blame him firing on him. To put it in mafia terms, ‘I said I’d help you whack Carlo. But you didn’t say you’d tell everyone it was my hit!’ This is why Rosenstein’s threat to resign rings hollow and indeed why I suspect he hasn’t resigned. What’s his argument? That he knowingly participated in the bad act and put his legal knowledge to work justifying it but is outraged that he’s being asked to take the blame? And now our video accompaniment. First on the subject of event horizons. Before buying the Star Wars franchise, Disney first tried to make their own knockoffs. It did not go well. Going from the ridiculous to the sublime... When the subject is mafia hits, particularly hits with nasty unexpected consequences, there really is no other choice. We've been making the point for ages now that, while the legacies of Goldwater and Watergate are important, the analogies to today are deeply problematic. The differences are, if anything, more important than the similarities. As noted previously, veteran political observer Charles Pierce was pointing out this contrast even as the Trump White House was preparing to announce the firing of Comey. The next day, Pierce made the same point even more forcefully. "For years we… have campaigned against corruption and misconduct…But Watergate is our shame." "After reading the transcripts, it was sobering: the number of untruths, the deception and the immoral attitudes. By any standard of proof demanded, we had to bind him over for trial and removal by the Senate." "I have been faced with the terrible responsibility of assessing the conduct of a President that I voted for, believed to be the best man to lead this country, who has made significant and lasting contributions toward securing peace in this country, throughout the world, but a President who in the process by actor acquiescence allowed the rule of law and the Constitution to slip under the boots of indifference and arrogance and abuse." "I wish the President could do something to absolve himself." "This is something we just cannot walk away from. It happened, and now we've got to deal with it." All of these congressmen voted to send the articles of impeachment to the full House. On August 7, 1974, two senators named Hugh Scott and Barry Goldwater, along with a congressman named John Rhodes, went to the White House and told Richard Nixon that his removal from office was inevitable. Nixon resigned the next day. Now, looking back from the swamp in which we currently find ourselves, there is one remarkable thing about all the people whose actions in that perilous time showed what stuff of which they and the country were made. Every damn one of them, from Sirica to Goldwater and back again. They all did their duty, as best they saw that duty and, as a result, a Republican president was forced to give up an office he'd won in a landslide only one year earlier. "Why doesn't anybody have enough anymore?" One of the questions we've been discussing on and off for a while now is how the Republican Party has changed since Watergate, and what the implications of those changes might be as the Trump administration continues a seemingly inevitable spiral of scandal. With recent events, the question is even more relevant. A few hours before the Comey firing, Charles Pierce (who knows a thing or two on the subject) provided us with and illustrative clip. And a characteristically sharp commentary. That's Senator Lowell Weicker, Republican of Connecticut, telling John Ehrlichman, a thug in the employ of the Nixon White House, that, whatever alibis Ehrlichman had concocted to excuse himself and his boss for their blatant criminality, Weicker wasn't having it any more. This was in July of 1973, a full year-plus before Nixon finally was run out of power. At this point, there was no telling whether the White House stonewall was going to hold or not. (The number who knew was pretty much limited to the guilty, and the shell-mouthed operatives of the Watergate Special Prosecutor's office.) Being an independent-minded Republican still carried a considerable political risk. Weicker did not care. He'd had enough. Why doesn't anybody have enough anymore? I assume everyone has read Nate Silver's take on the Comey letter by now. Second: The FBI Director broke all precedent and DOJ guidelines to announce a criminal investigation into what proved to be the losing candidate just over a week before the election. There was little reason to believe the purported new evidence would lead to any criminal charges or indeed even any substantial new evidence. And it turned out that the ‘investigation’ was based on nothing. The entire blow up turned out to be based on nothing and knowing what we know now about what investigators and Comey knew at the time suggest he had little reason to think there was anything there. Third: A rival foreign power ransacked the computer files and email logs of the losing candidate and strategically leaked them out over the final months of the campaign with the intention and the effect of distracting and damaging what proved to be the losing candidate. Now look at France and their episode of hacking. This suggests to me that we need to move past the nice but naive idea that leaks can ever be non-political. The idea of more information always being good isn't false, but we need to acknowledge that a selective information leak affecting one party is a very partisan act. It isn't like we saw the emails and logs of both sides being released so that people could use "behind the scenes" information to make a more informed electoral choice. Instead, the decision to hack or leak data should always be filtered via a question of what is the agenda of the person(s) who are releasing this data. One of these days, we need to have a serious conversation about all of the Soylents and the Juiceros. 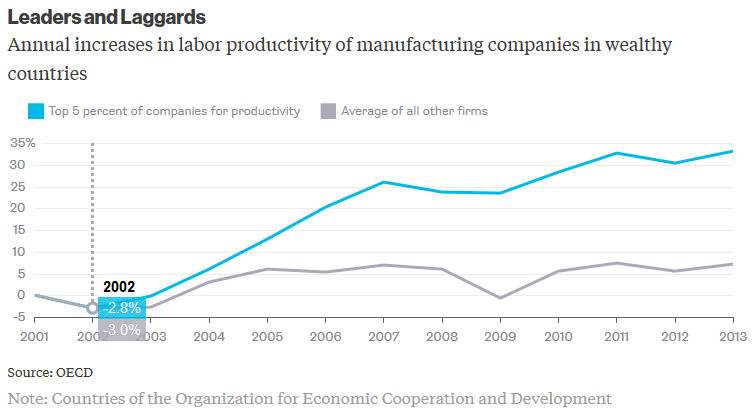 We need to think about the opportunity costs of diverting hundreds of millions (billions?) into obviously laughable products and services. We need to consider the income inequality implications of a business culture (particularly in Silicon Valley) where having the right connections counts for more than viable business plans. We need to ask credulous journalists how they justified the shameless puff-pieces that invariably preceded the collapses. For now though, I'm just here for the snark and schadenfreude. Soylent, a substance, is about to be everywhere. A team of queasy venture capitalists just invested $50 million into the company. This, despite the fact that Soylent is perhaps best known for lying about its ingredients and giving people fits of relentless vomiting and uncontrollable diarrhea. The new round of funding is led by GV (formerly Google Ventures) and includes big shot funds like Andreessen Horowitz and Lerer Hippeau Ventures. That extra $50 million brings Soylent’s total pile of cash from investors up to $74.5 million. Rob Rhinehart, the original startup bro who hates food and invented Soylent, told Bloomberg that he soon hopes to sell Soylent “pretty much anywhere you can get a coffee.” That means you might win more opportunities to spend money in order to celebrate the dismal, dangerous future we’re all living in, whether we like it or not. Let’s hope those coffee shops have bathrooms, though. We’re gonna need it. It looks like preexisting conditions may be back as a way to increase the costs of health insurance, and this is a bad thing. Why? In traditional insurance, if your house burns down then the insurer makes whole the loss. In medical insurance, a major medical event may have sequels for many years. If you change insurers (or your insurer goes out of business) then the original insurer is off the hook for continuing costs. The new insurer looks at the ill participant as a "house already on fire" and would like to not cover these ongoing costs. There is also an information issue. If a house burns down twice then that might just be bad luck. But if a person has two heart attacks, is the second one a random event or a sequel of the first one. It is pretty clear that we don't want courts adjudicating this question on a case by case basis (or people being denied care because nobody can figure this out). But there is a reason that preexisting condition clauses are unpopular. Not because people want a free lunch (although some of that may always be present) but because it opens people up to random events (employer bankruptcy, anyone) leaving them unable to afford health care. And before anyone talks about market solutions, please try and actually use "self-pay" as an option in a modern medical setting. I actually tried this and it was very difficult to be seen by an MD (and only MDs can do things like prescribe antibiotics -- which can be life saving). 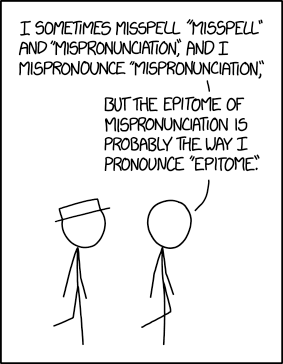 For an embarrassingly long time, I thought that "epitome" and ep-i-tome were two different words. The conversation has gotten muddled and off-topic on both sides (which is not to say that both sides are equally wrong, just that most of the critics of Bret Stephens are making a valid case badly). A great deal of the discussion has come to center around a not particularly relevant debate about whether or not certain positions are acceptable in the pages of a publication like the New York Times. It is true that, though the exact boundaries are inevitably hazy, there are certain positions that are so innately offensive that they should have to clear and extremely high bar before making it into the public discourse. Two obvious examples are defenses of the Holocaust and slavery. There is, of course, and inherent conflict between condemning offensive ideas and defending freedom of expression, but that's not really what we should be focusing on here. The issue here is not that Stephens took a position (or even a string of positions) that you or I strongly disagree with; the issue is that he took this string of indefensible positions (effectively taking the pro side on things like racism, torture, religious bigotry, income inequality, sexual harassment, and the war on data) and defended them by recycling tired and hackneyed arguments that are logically flawed, dishonest and/or incoherent , not to mention almost always badly written. We are not talking about lapses in an otherwise outstanding career or bad traits that are counterbalanced by notable strengths. Bret Stephens did not succeed despite these things; his entire career was built on being an apologist hack. When you strip away all of the nonessentials, the underlying claim is that an institution or group cannot be accused of prejudice or harassment if the victims willingly choose to join. This is very closely related to the classic argument: "you don't have to be here." For a long time, this was one of the default responses to charges of discrimination. It was applied to African-Americans trying to break the color barrier, women entering traditionally male professions, gay athletes trying to be open about their sexuality, you name it. Stephens is careful to couch his arguments in terms of some shadowy liberal conspiracy rather than an attack on victims of sexual assault, but when you claim that a woman's decision to attend an institution or pursue a profession precludes the possibility of a culture of harassment and assault, you have made this an argument about women, one that is neither sound nor original. The New York Times knew what it was getting with their latest hire and they have been full-throated in their defense of the choice. Stephens is a tired, derivative hack of no apparent insight or talent (at least, David Brooks is good at being David Brooks). There is nothing to be learned from reading his new column, but their is a great deal to be learned from the way that America's best known "liberal" paper instinctively genuflects to the worst of American conservatism. 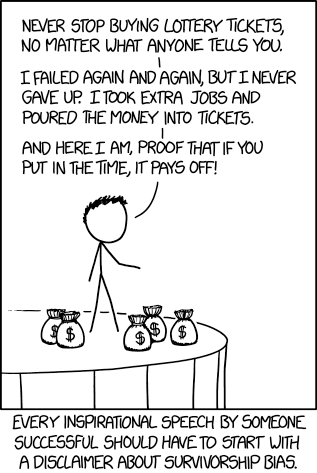 On a related note, I've been arguing for years that a winning lottery ticket is the world's best investment (though there is that one little catch). It's odd: school vouchers are frequently advocated for primary and secondary school students. Yet there are good reasons why they would not be expected to work well, especially for primary school, as the ones exercising the vouchers (the parents) are not the ones experiencing the education (the children). Also there are very large costs associated with switching schools, and especially going to a school outside your immediate neighbourhood, if you are six years old and not able to drive, or 12 years old and in a tight friend network. Hence the possibility for effective competition between schools is limited at the K to 12 level. I think a lot of the same issues would apply to PhD vouchers as would apply to school vouchers, especially in terms of the issues of coordination. So I am not a fan of the PhD vouchers idea, doubly so when there are provincial funding differences for the schools themselves. I can see too many ways that we could end up with all viable students being at the University of Toronto, for example, with a clever use of network effects. But the real issues are the barriers to change. These are high -- just differences in the material that is being taught can be brutal to overcome when changing mid-semester. Market forces will always be inhibited by the challenges in overcoming these barriers, especially since the service is being marketed to a proxy for the consumer. But my biggest question is why the economist can rattle off real issues that don't even appear in the current conversation. Everything is about quality, but this all presumes that the new system (at scale) will be better than the old system. Which might be true, but pure market forces will suffer an uphill battle given transaction costs. After all, how do you prevent "we will just under-serve a little bit, but not enough to make the costs of changing schools worthwhile" becoming a "race to the bottom" for most schools (with a few high priced and elite exceptions). It is easy to forget that, though it does occupy a unique niche, sports is part of the entertainment economy. For years now, we have been discussing the increasingly apparent content bubble. Even though people's ability to consume content is approaching saturation (even taking into account multiple screens) and the competing sources of content are exploding, prices and production slates continue to skyrocket. This is not to say that there isn't a lot of money to be made or that the amount will not continue to grow, just that the probable rate of growth is nowhere near what would be needed to justify the current level of investment and hype. The causes of the layoffs are clear. As ESPN’s subscriber base, and the rate those subscribers paid monthly, grew in the late aughts and early 2010s, Bristol spent flagrantly. They created the Longhorn and SEC Networks, built a massive new SportsCenter studio, hired hundreds of writers to cover specific teams, and, most importantly, spent billions of dollars on live sports rights. They made big bets. They made wrong bets. Right around the time the ink dried on a $15.2 billion deal to broadcast the NFL, subscribers began fleeing cable television in droves—not because of anything the Worldwide Leader did wrong, but because of secular changes in the way broadcast and video works. Phones, Twitter, and YouTube began instantaneously delivering highlights and entire games to fans, obviating the need for anyone to watch SportsCenter, or any other news shows, to catch up on what happened in sports, or even, in some cases, to watch live games. Terrestrial ad revenue never migrated online, and the revenue to be found there was largely eaten up by Facebook and Google, leaving little to pay those new ESPN.com reporters. ESPN is still wildly profitable—the operating income of Disney’s media networks (of which ESPN plays the largest role) was $1.36 billion in the 2016 fourth quarter—but it’s less profitable than it used to be, and projects to be far less so in the future. With its latest cuts, ESPN isn’t just trying to stanch the bleeding and/or to be seen by investors as attempting to do so: They’re also laying out what the network will look like over the next five years and beyond. If ESPN is trying to significantly trim costs, things are going to get grim, because cutting the salaries of online writers isn’t going to cut it. And so the fundamental question is how long ESPN—or Disney, or Disney shareholders—can be content with diminishing profits, and at what point they admit that aggressively outbidding competitors for live rights at the peak of what was at the time clearly a bubble was a mistake. If they do so, the knock-on effect to the leagues that rely upon their money to pay salaries and fund operations will be immense. The words “College or Die” are posted in giant letters in a hallway of Tindley, an open-enrollment charter school for grades six through 12 that opened in 2004 in a former grocery store in a low-income area of Indianapolis. It became well known in school reform circles when it was visited in 2011 by then-Indiana Gov. Mitch Daniels (R) and then-U.S. Education Secretary Arne Duncan, who heaped lavish praise on the school for its success in getting students into college. As noted by educator and blogger Gary Rubinstein, Tindley had 93 students in ninth grade in 2013-2014. By the time that cohort got to 12th grade, only 40 students were in the class. That’s a loss of 57 percent. Such a big rate of attrition is not exclusive to Tindley; a number of charter schools, especially of the “no excuses” variety, lose a lot of students and don’t replace them. Students who can’t cut it have to find another school to take them, sometimes in the middle of a school year. One of the points some of us have been raising for years now is that movement reformers lack adequate concern about the collateral damage of their proposals. It isn't just that many of the schools that reformers hold up as models have disturbingly high attrition rates; it is that (as both a motivational and a PR tool) these programs build themselves up as students' best and even sometimes last hope for escaping poverty and having a good professional life. To say that this gets families' hopes up is a grotesque understatement, but arguably even worse, the kids who are unable to make it into the programs or complete them are essentially told that they are doomed to failure. Between the emotional damage, the disruption and the danger of a costly self-fulfilling prophesy, that is a hell of a toll to inflict on already disadvantaged kids.